This entry was posted in Uncategorized on December 14, 2014 by Anna Bon. 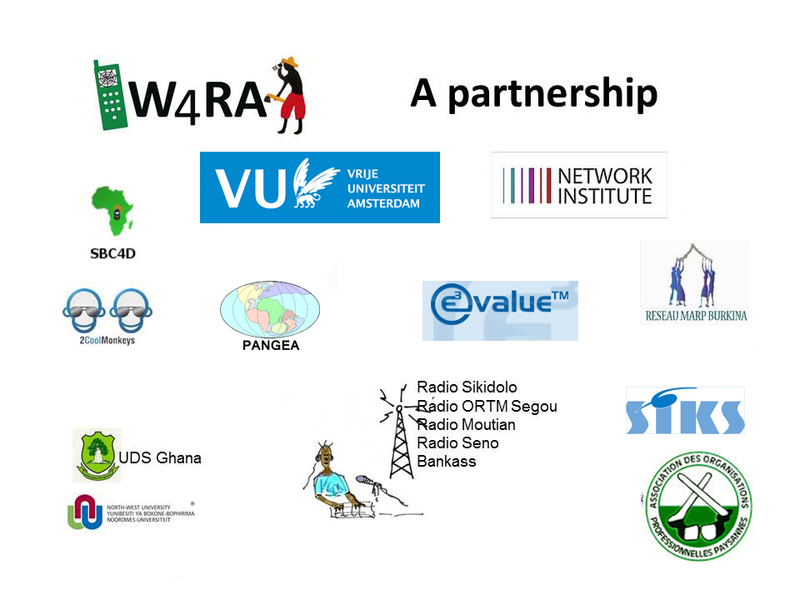 The W4RA team and researchers from the University for Development Studies in Ghana started a new interdisciplinary collaboration to help improve access to information for farmers in rural communities in Northern Ghana. Rural communities in West Africa are vulnerable to food shortages and low incomes due to climate conditions and economic uncertainty. Unpredictable prices of commodities and erratic rains create serious challenges. Poor information and communication are important barriers for farming and trade. Information on local rainfall helps farmers to schedule cropping patterns. Information on prices and local markets helps to sell products such as maize, millet, shea butter and livestock at better prices. This requires ICT systems that are fully adapted to the rural conditions and the local needs. Our research aims at supporting the work of local communities, by interacting with them and understanding their problems. This community-based approach takes their problems and needs as the starting point. We discuss with the farmers what barriers they encounter, what ideas they have, and then we jointly decide which applications to build. This approach is also called Living Labs. In December 2014 we visited the Guabuliga community in the West Mamprusi District in the north of Ghana. Guabuliga has about 2000 inhabitants who live from agriculture and trade. The farmers here produce and sell maize, millet, sorghum, shea butter and livestock, but trade is often difficult. 120 farmers, of which 85 women and 35 men attended the Living Lab workshop. Their enthusiasm was very encouraging. Most people here communicate by mobile phone, but they use voice and hardly use sms. They also listen to the local radio, Eagle FM, but still, access to relevant information can be greatly improved. Extensive group discussions between farmers and researchers provided us with concise information to build the first cycle of a new, innovative voice-based information system that supports the local language Mampruli. The system will provide local information on rain and market prices. Better community access to information through systems like this is a way to improve trade and livelihoods. To do these activities we received a grant from Nuffic in the framework of the NFP-TMT program.